80% of all textiles, fabrics, clothes, linen, drapes, etc… were made from hemp until the 1820’s with the introduction of the cotton gin. All schoolbooks were made from hemp or flax paper until the 1880s. Benjamin Franklin owned one of the first paper mills in America, and it processed hemp. Also, the War of 1812 was fought over hemp. Napoleon wanted to cut off Moscow’s import to England. Now ask yourself why it was made it illegal just as the cotton, timber, oil, paper, plastic, and pharmaceutical companies took off? 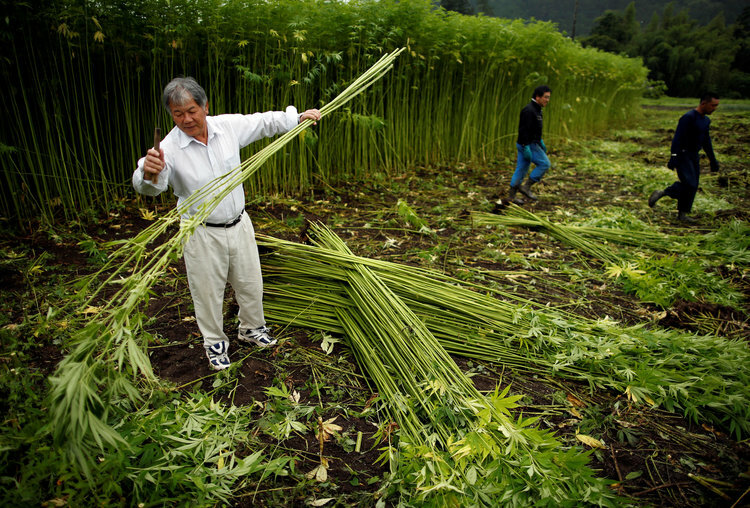 Hemp has shown it can eliminate toxins and radioactive material from the environment. Scientists planted it at Chernobyl and found that hemp conducted phytoremediation and removed chemicals from the soil better than any other plant. Hemp wasn’t prohibited in the United States until the 1950s. During WWII, when supplies of Japanese-made hemp were cut off, the U.S. Department of Agriculture started the “Hemp for Victory” campaign, creating a thirteen-minute video to promote hemp growing in the United States. The crop was needed to make everything from rope to sails for ships. The word “canvass” is rooted in the world “cannabis,” according to the North American Industrial Hemp Council. PREVIOUS POST Previous post: How Important is Search Engine Optimization (SEO) for your blog?